Shawms produce some of the most exciting sounds imaginable. 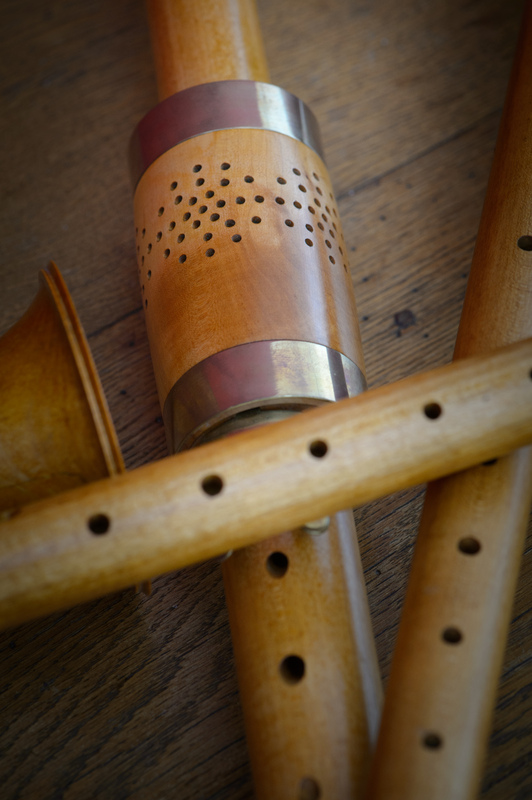 But it is difficult to find good instruments and to find players who really want to play shawm and not some kind of great-grandmother oboe. It all starts with the reed. They need to be these tiny little fan shaped ones that are still played on all folk instruments from Morocco to China. 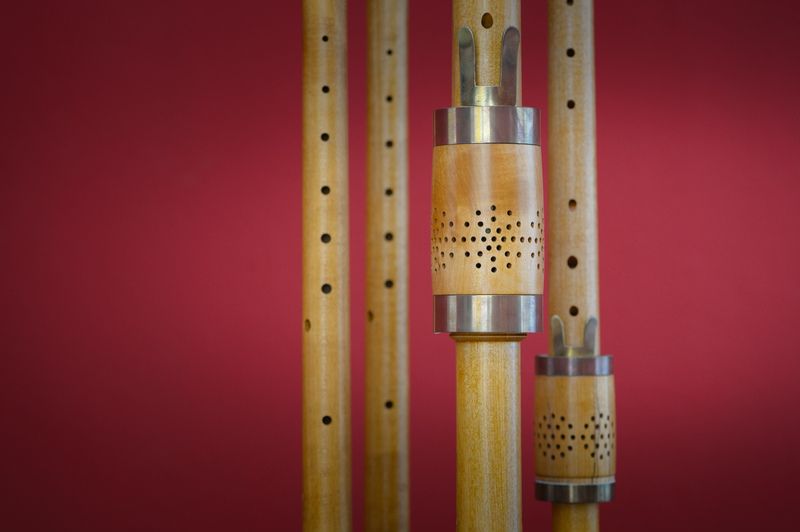 Without these reeds one gets a d'amore sound but not a shawm. 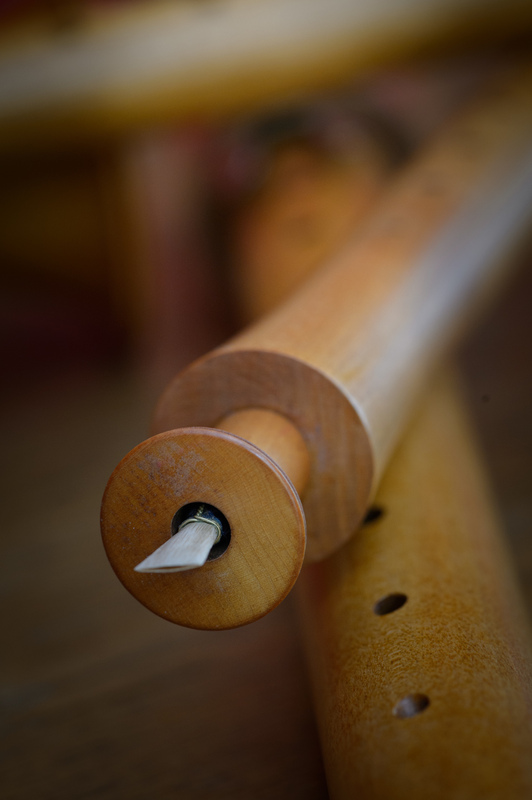 Then the instrument needs a pirouette lip-rest, so that the reed can swing freely. And then you need an open air space to practice, since these guys are loud – Musica Alta! Despite of what I just wrote, instruments with this set-up are quite flexible and it is easy to imagine doubling voices or playing arrangement of vocal music. 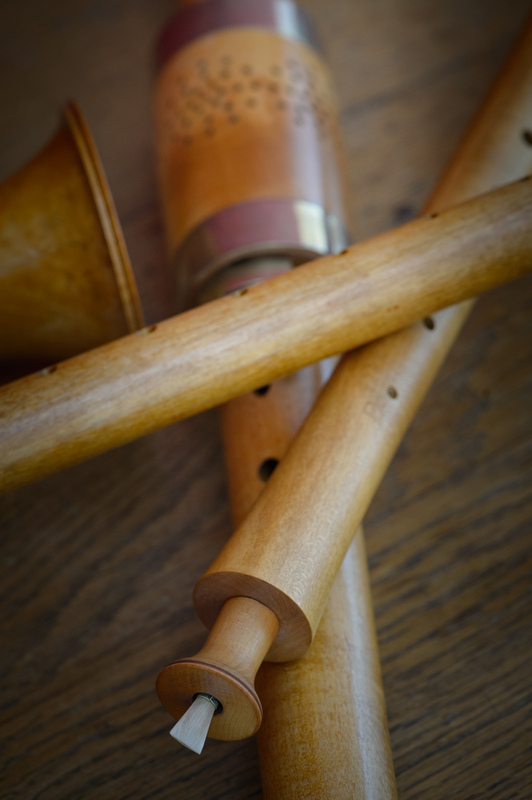 In the German Stadtpfeiffer and the English Waits tradition shawms were used well into the 18th century for public functions, often paired with cornetts, sackbuts and curtals. 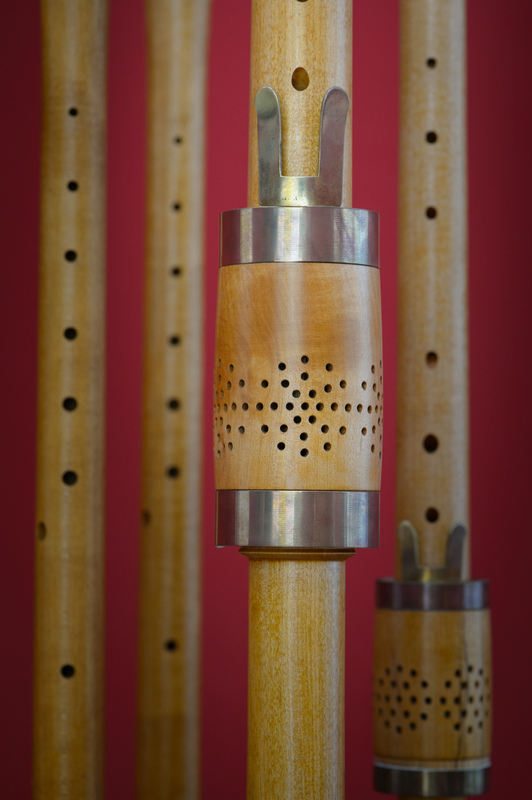 Most important for shawm players is to have instruments fifth apart in (F) – C – G- D and to learn to transpose the music with ease, so everybody can play in a perfect range and without to many ought fingerings. My first bass shawm I got as a teenager. Back then people were still playing instruments at so called modern pitch, which isn't really good for Renaissance wind instruments. So I sold it before I started music school. Just a few years later I met Bob Cronin, who makes instruments at a=460 Hz and has solved all intonation problems that one might have had on shawms before. I got a set of his. They have done me very well ever since. Now, being a bit older, I don't care about playing the treble any more....to much physical work. The alto is still a favorite of mine and I can play that for hours. 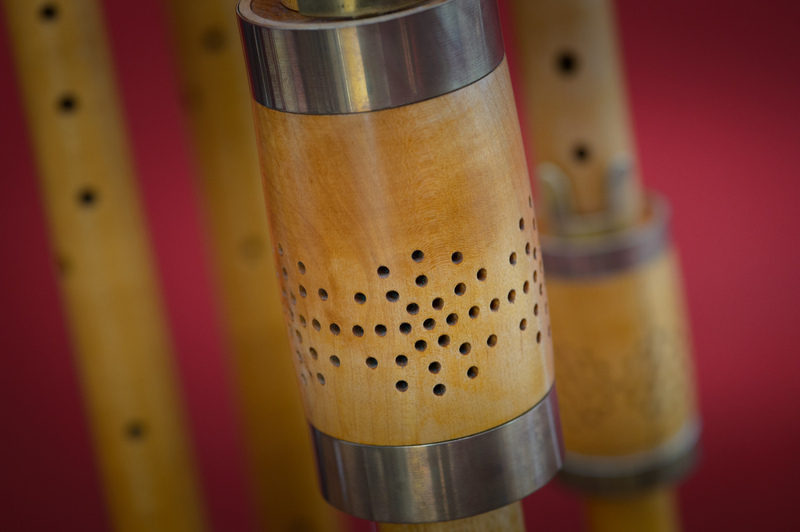 In my Alta Capella I play sackbut most of the time and switch to alto shawm just when we do pieces with very high bass parts that can be done with a tenor shawm.